Touch your mouse to the image below to scroll through a gallery of images from this event. The dramatic TOM FORD store represents Ford’s extremely modern vision of a complete world of menswear and womenswear that is made to the highest level of craftsmanship, personalized to the wearer’s needs, and delivered in a sumptuous and sensual atmosphere. (At least that's what the Highland Park Village website says.) 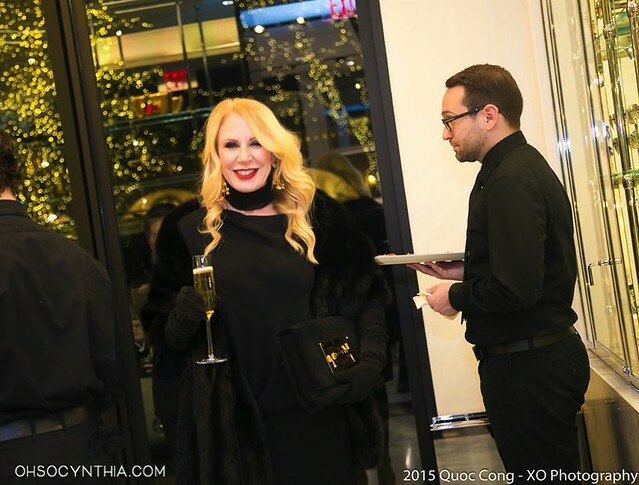 Heidi Dillon hosted a holiday soiree earlier this week for select fashionable friends to view the latest collections and experience an interactive makeup tutorial. The Fashionistas founder has always been known for her style, but this past year she has developed a new obsession with makeup - even training at the MAKE UP FOR EVER Academy in NYC to harness her prowess with a brush and palate. The Tom Ford boutique, run by manager Joe Flores, encompasses the complete menswear and womenswear collections, including ready-to-wear, men’s made-to-measure, footwear, accessories, eyewear, fragrance, and beauty under the TOM FORD label. You can visit this beautiful boutique in Highland Park Village at Preston and Mockingbird.